Teaching Lawyering—Is This Too Much to Ask of Your Law School? The New York Times hit the nail on the head in its November 19, 2011 article “What They Don’t Teach Law Students: Lawyering”. This is a big soap box of mine, and another reminder from me seems appropriate as I prepare to go to Washington & Lee Law School next week to speak to students in the program that W&L has designed to address this issue. Students in this program gain practical experience in lawyering in their final year of law school by participating in mock law firm exercises. 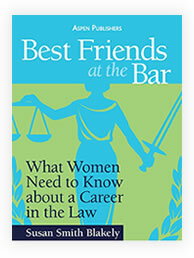 They get experience acting like litigators and corporate lawyers to help make them practice ready after graduation. Bravo! This is a real breakthrough in legal education, and it certainly is preferable to what is described in the NY Times article. Here is what should NOT happen. 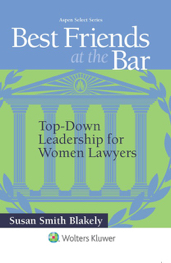 Law firms should not have to teach associate attorneys the fundamentals of law practice. If an associate took Corporations in law school, that lawyer should know the fundamental steps to accomplishing a corporate merger. Not just what a “merger” means but how to make one happen. Knowing the meaning of things without being able to put those meanings in context is not useful in most settings, and the law is no exception. This is not to say that there is no place for the legal theory that is emphasized in law school, but it should not exist to the exclusion of everything else. “Practicum”, as I like to call it, has its place, and that place is becoming more important over time. There is a great competition for clients today, and many corporate clients have made it clear that they will not pay for first and second-year associates. Clients are no longer as willing to pay for lawyer training, and, as a result, the law firms that can present practice-ready associates to clients are likely to come out on top in the competition. Law school administrators are no strangers to the issues of law practice, and schools like Washington and Lee Law and Northwestern University Law, among others, are putting more emphasis on practical skills in their curricula today. Legal clinics are not new to law schools, but the number of them is increasing at law schools across the country in response to this problem of practical legal training, and other innovative programs like the one at W&L Law are becoming more and more common. Unfortunately, these changes are late in coming, and it is the law student/associate who pays the highest price for this delayed reaction. Law graduates without practical skills may not be as marketable as those with the skills—especially in this down market—and, even if the law firms undertake the practical training described in the NY Times article, the associates generally work on reduced salaries during the course of the training. For $150,000+, the average cost of a legal education, you would think that the graduate lawyers would have reasonable expectations of being practice ready and not have to suffer the additional financial blows of reduced salaries while trying to pay off law school loans. Wouldn’t you think? Well I, for one, do think that is a reasonable expectation and, apparently, so does the leadership at W&L Law. And that is why I am particularly pleased to be going there next week to speak to the students and learn more about the program. Stay tuned, and I will give you some feedback after I return. For more on this issue of practical legal educations, I refer you to Professor Bill Henderson at Indiana University Law and his writing on the subject. 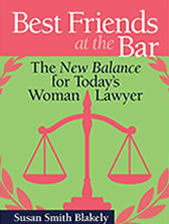 I also invite you to take a look at one of my past blogs about his work (https://bestfriendsatthebar.com/law-schools-ne…r-law-practice). 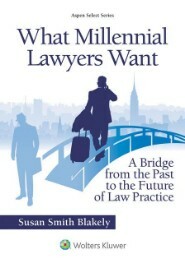 This entry was posted in Career Counselors, Law School Educators, Young Lawyer. Bookmark the permalink. One Response to Teaching Lawyering—Is This Too Much to Ask of Your Law School?